I'm 16 years old and have often woken up to find myself unable to move or speak. First of all I have been having problems sleeping for months now, where every few weeks i will have nightmares, or disturbed sleep, including waking up to find i cannot move. 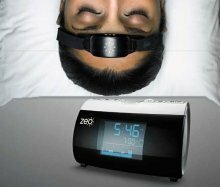 I have noticed that this will last a week-3 weeks at a time and they will not occur again for a few weeks or months, so I don't know if my sleep patterns and nightmares are causing the sleep paralysis or not. I can't remember the first time i had an episode but i always seem to have the same thing occur; I cannot move, speak at all, it feels as though im not alone and i feel as if this Evil presence is sitting on my chest, preventing me from breathing. Although I say I feel the presence I never see anything unusual, which frightens me even more, because I find that even after I can move again, the fear that this thing may still be in the room with me is terrifying. For the fist time in months i had an episode, and found that there was a slight change in what was happening. I don't know whether I should go to my doctors or not because I always have sleep problems; waking up in the middle of the night, every night/ nightmares/ sleep paralysis and they terrify me to the extent that I fear going to sleep, I feel exhausted the next day. Kevin: Thanks for sharing your story. 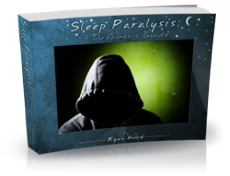 I think you would benefit a lot from reading this book by a sleep paralysis expert named Ryan Hurd. It's full of empowering insights that will calm your fears, and even give you some strategies to take power over your episodes. Comments for Paranormal Or Not? The same thing happened to me but my first time was when i was seven years old and it kinda freaked me out,i used to have nightmares that were real and i woke up one time and it was like the Evil presence was pshing my face down into the pillow and the thing held it there till my father came to wake me up for schoolwhich was 3 minuets later. I've had sleep paralysis since I was 14 years old. I am now 23. I have at least 2 a month. Sometimes 2-5 times in week. It's almost always the same thing, I wake or so I think, I can't move, can't talk, hard to breathe....I feel something, evil. I hear loud noises that get closer and closer. I don't always see something but when I do it's just black. I never see the face. I feel like I'm being pushed into my bed, my hands hurt...I once thought I felt some kind of animal, I could feel it breathing on me. Though everything feels so real and I can see everything around me in the same place, I know I'm dreaming everytime. Sometimes I know when it's going to happen. When I lay down at night I get that feeling. Usually when it happens it happens up to 5 times in a row. I want so badly to get up in between to stop them, but I feel so tired and exhausted from the first one that I just lie there and wait for the next. I find it crazy that you mentioned Jesus and how saying his name helps you. I went to church when I was younger but quit when I hit the teens. I question too much to really believe and don't agree with a lot that the bible teaches me. But I've tried everything to stop the SP and nothing ever worked...One night about a year ago while having one I said to myself, "God, please help me." and it was over. I woke up. It didn't stop them. I still have them, all the time, But everytime I ask for His help or I say the Lord's prayer...I wake. I still never go to church and I don't talk about it much either. I too, do not want anyone to think I'm crazy. I didn't have the feeling of a prescence but i did have a period when i woke up and i couldn't move or i had nightmares. What i found out is that if sleep facing the wall I didn't have that anymore. It might just be me but worth a try finding a sleeping facing a different side. For those of you who found freedom through the Name of Jesus, you are not in the minority. Many who have researched alien abductions have also discovered that the Name of the Lord is often the only way to end the abductions. If it brings you fear, smells, is ugly, wants to do horrible things to you, then you need to call on a power that is good and more powerful. Also: purge your life of those things that would open the door to these experiences: Ouija boards, etc.